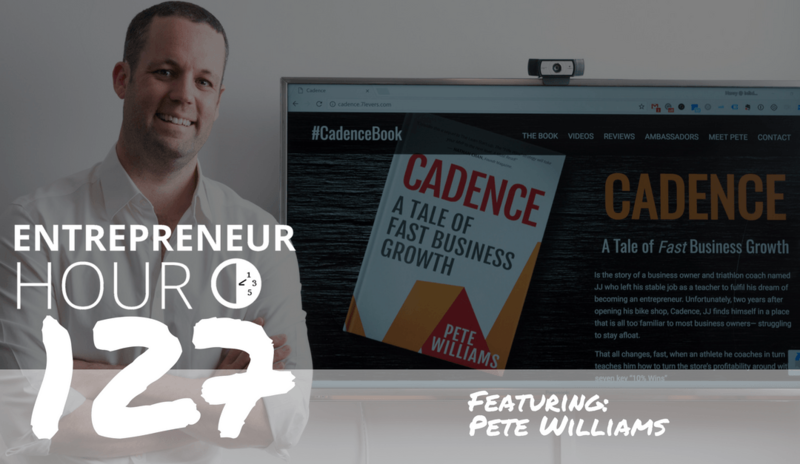 Pete Williams, Author and Founder of Preneur Group, joins Entrepreneur Hour to talk about a framework that answers the question where should I focus on my business and systematically improve your organization across the board. In this episode, we talk about Pete’s comparison to Richard Branson and his unique approach to business that has garnered such praise. We chat about his “7 Lever Framework,” which he has not evolved and made into a revolutionary concept for business owners to implement a systematic approach to growing their organizations and ensuring every major function is receiving it’s due attention. 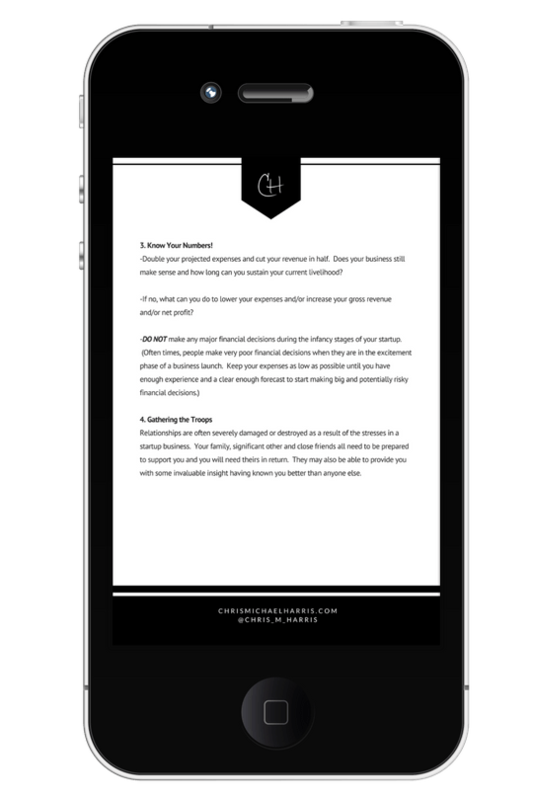 We wrap up talking about how you can immediately start utilizing his structured guidance from the book even if your business is not producing like you imagined or you’re unable to hire the added help you need. I never believed in the power of the compounding effect until I saw it happen right before my eyes. At the time and still today, I call it organic growth. The moment when your business becomes a living, breathing thing and it does so all on it’s own. If you don’t show up for a few days or God forbid take a much-needed vacation that you’ve probably been putting off for years (if not longer), you come back and the business is still intact. In fact, sometimes even better off than when you left. I remember taking an entire month away for my wedding and honeymoon and expecting to come back to a total mess, mounds of work that needed to be done and several midnight or later hours at the office. Much to my surprise, my team had actually not only held the fort down but implemented some initiatives that we had talked up prior to me departing, all by themselves! You see, our work and diligence, going through all aspects (or levers, as Pete would call them), had become a ritual on a daily/weekly basis. We began, as a team, to start identifying issues or “holes” in the business and setting up an execution plan on our Big Board for initiatives with roll out dates, key assignments, and checklists as to what completing that initiative entailed. What’s funny is it was in those little, repetitive activities we were able to find our stride and blow our objectives out of the water. Growth requires more than we expected and the type of growth we experienced was outlandish and often times painful. The problem, as we only later identified it, was in the fact we had solely focused on revenue goals. Profitbility was down, operational efficiency was at an all-time low, we had some major gaps in our insurance coverage that went completely unnoticed and we didn’t even have a proper onboarding process that even allowed us to do that type of rampant hiring required for a business expanding into multiple states. Truth be told, I’m pretty sure we still sometimes receive random employee checks from all over the country that were sent back after months of (I guess) just sitting at a hotel’s front desk somewhere. Some of them even came from states I don’t remember us doing business in. I bet you can guess how happy those employees were that those checks didn’t land in their hands on time as they should have. I was trying to grow the business so that I COULD afford to pay my people what they deserved! My goals were honest and true, not out of some desire to fuel my ego but rather to provide us with an abundance of opportunities to be proud of what we were doing and building. The phone calls I received from both customers and said employees didn’t seem to be resolved by me telling them what I just told you, unfortunately. And that’s when our own personal epiphany was achieved. A business grows by incrementally building out all of it’s levers and being hyper-aware of it’s needs to take the next steps. By solely focusing on revenue and awaiting an arrival to the next plateau of new horizons, whereby we could then pay for the things we needed, we ended up having far less retained earnings from the year prior, despite having more than doubled our revenues. And let me tell you this, far less satisfied customers. Your Instagram feed or even a quick view of my own content might guide you right into believing you’re a total failure because you’ve yet to scale a business to multiple 7 figures or be featured in the latest Forbes article talking about how great and wonderful so-and-so is for the money-generating machine they built from an ivory tower somewhere in downtown the heart Silicon Valley only after graduating YC and raising a $10MM Series A. So, before your mind goes there or in an effort to reel you back in, please let me tell you you’re only seeing the very, tippy-top, upper section of the iceberg. Those successes are backed by many failures. That publicity is only capturing but a speck of the full story. I think about this all the time when I record a podcast episode with a guest and it’s the very reason I start by having them give me the whole picture, highlighting the years and heartaches along the way. You see, it often requires them to experience the same setbacks I endured to come full-circle and put it all together. And when they do, it looks much like what Pete talks about in this episode. Day-after-day, putting the pieces together but running diagnostics throughout the business to give adequate time and attention to all levers of the organization. You want to burst onto the scene and have your beautiful face and pearly whites plastered all over FastMoney, focus on how to go through this process as quickly and efficiently as possible. Not to sound unbearably cliche but wow is it ever so true in this particular case. A year after our debacle that was generating money and watching it fly out the door just as quickly as we could make it, we set out sights back on re-building the foundation. We focused on how to make a great business, not just make a great amount of money. We built scalable systems and automations across the board, outsourced what we were unable or inefficient at doing in-house and started focusing on growth plans and execution strategies; not just making sure we could generate the revenue but how we were going to both do a good job and actually have a sizable potion left over to re-invest in furthering our efforts. I get that statement sounds counter-intuitive and I want to be careful about how I word this because it can be applied in a dangerous manner if not interpreted correctly. Your problem may not be operational efficiency and building out a scalable system or product that works, it may be quite the contrary. Although we grew by taking a step back, our situation was one of drowning in opportunities. What I don’t want you to do is read this and validate your reasoning as to why you’re still sitting on the couch with your laptop and re-affirming to yourself how much you’re not ready to seek out new opportunities. The perpetual learner and “preparer”, as I like to kindly label it. This is not a rallying cry to not take action and to not pursue your goals of growth and prosperity. It’s a blueprint for you to both but to do so effectively, so that monumental step-backs and re-analyzing your entire business model isn’t necessary; let alone butchering your hard-earned reputation in the process. And that’s what I LOVE about Pete’s practical and step-by-step approach and advice. I’m super theoretical. My wife tells me this all the time. As more of the visionary type, I see things in my mind and have a difficult time articulating what it is I envision should be done. This isn’t an apology more than it is a self-aware recognition. There’s a time and place for both, I assure you, and I recommend you surround yourself with both! I’ve scoured the web for a practical “how-to” as it relates to this particular matter and wow has Pete really blown my mind. On a weekly basis, I have the honor and privilege to speak with the greatest minds in business and entrepreneurship. They all have tremendous stories and advice, much of which has transformed my own life and the lives of people whom listen to my show. I would sincerely put Pete’s advice towards the top of the list in terms of advice given on my show that will help you go far. It’s one of those guiding principles that applies to any business, regardless of size and industry. Big, money generating business require big game plans. I think you’ll find the information in this book to be the secret formula you’ve searched for.